I buy your books! Books must be in good condition, not mouldy, torn or missing covers or pages. Amount & acceptance depend on the condition as well as how many are already in store. We prefer paperbacks as they take up less space. Your choice - cash or credit! You will get more in credit than cash. The credit is stored under your name on the store computer so nothing to carry with you, just remember your name. Standard trade policy is 1/2 your purchase in credit, if you have it available, and 1/2 in cash so we can pay the rent. Credit can never be used to pay GST. 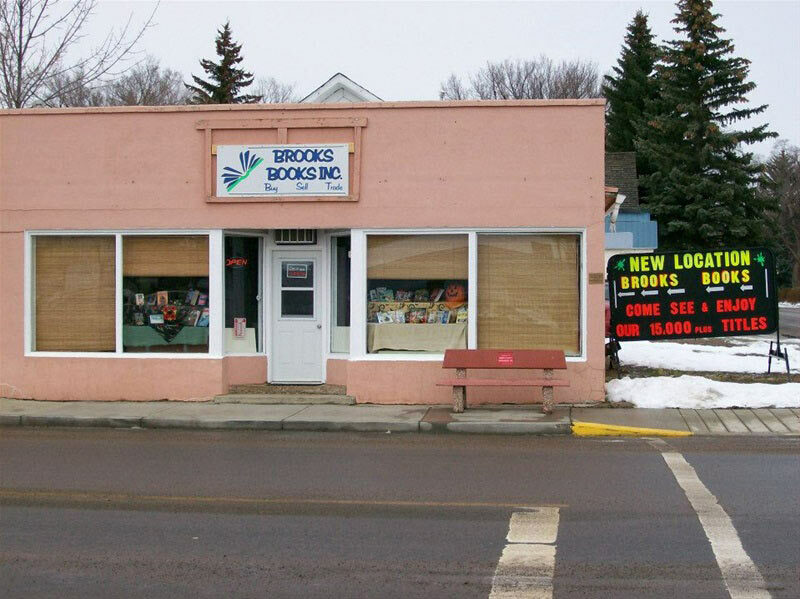 Bring your Brooks Books back in good condition and receive 1/2 what you paid in trade-credit only! All books on shelves are priced! Paperback on back - hardcover inside front cover! Are you looking for a specific book? I might be able to order it in for you. Special orders require a 50% down-payment.